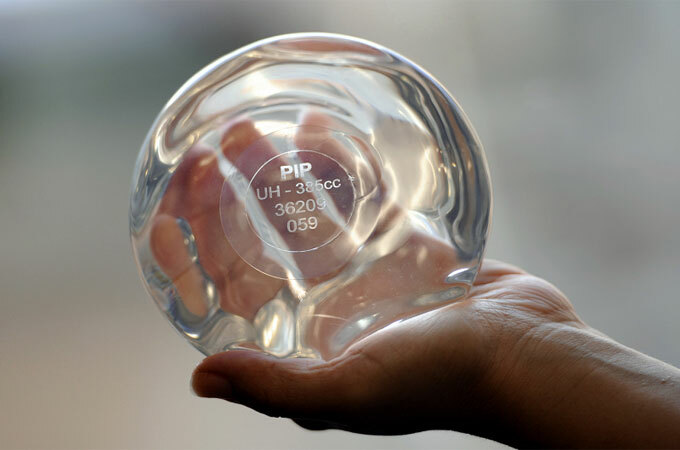 The French firm Poly Implant Prothèses (PIP) allegedly used cheap, industrial silicone not intended for medical use for breast implants. PIP, which was once the third biggest global supplier of breast implants, is accused of cutting costs for 10 years by using an illegal homemade concoction of industrial-grade and agricultural silicone not fit for human use. Many of PIP's implants were prone to rupture, causing dangerous leakages of the silicone. In France, of the 30,000 women who had PIP implants, almost half have had them removed and about 4,000 reported their implants rupturing. Several of them were cancer survivors who have spoken of their psychological and physical suffering after implants ruptured or leaked. Over 5,000 women are now seeking compensation for harm dependent on the findings of the criminal trial of PIP’s founder and four senior executives. In Europe, some 100,000 women were affected by the implants. The EU is in the process of updating its laws on medical devices to improve patient safety, including market surveillance measures. Dagmar Roth-Behrendt, the German MEP who is in charge of steering the legislation through Parliament, has said she will propose a centralised approval system to make medical devices safer for patients. Roth-Behrendt's report is expected published this spring. The European Consumers' Organisation (BEUC) said the PIP breast implant scandal highlights the continuing absence of a collective judicial option for victims in the EU to jointly claim damages in their resident jurisdiction. BEUC's member in Austria, VKI, is intervening for 73 Austrian victims in an attempt to help as many of those affected as possible and the French member UFC-Que Choisir is also a plaintiff in the case. VKI had to bring the compensation claims to France, despite the inherent costs and burdens. Monique Goyens, director general of BEUC, said the PIP case is blatant for consumers, not only incurring serious physical harm, but also being denied the means to claim compensation for harm and costs for medical treatment and surgery. "The need to better protect all Europeans from cases like this has been clear for a long time. These products are sold across Europe and the victims come from across Europe, yet only very few have a chance of accessing redress," Goyens stated. “The Commission remains undecided on whether to introduce Collective Redress for consumers and the victims of such EU market malpractice. It’s efficient justice for victims and streamlined administration for our courts. Continued hesitation by the Commission while such scandals continue to occur is difficult to justify," Goyens continued. They are ranked from Class I, a low-risk category that would include spectacles, to high-risk Class III items such as hip replacements and pacemakers. Spring 2013: First draft of the Parliament's report on medical devices to be delivered. Why do they need breast implants ??! And still doing it despite the danger of the french “china kind” silicone !! The problem is Who is guilty ? Don’t we have to sign operation risks? Or what does theses risks include the quality of material? Or risks for excessive men touched breast until silicon run out ?